CryoLab Srl is a Biotechnology and Cryobiology development Centre, formed in January 2012 by the Faculty of Medicine and Surgery of the "Tor Vergata" University in Rome. Since 2015 it operates in partnership with the SOL Group SpA. CryoLab was formed as a university spin-off by a group of researchers at the "Tor Vergata" University in Rome and today is a Facility Management company in the fields of Translational Medicine, Biotechnologies, Regenerative Medicine, cellular concentrates and stem cell manipulation and, more generally, Bio banking and Cryobiology. CryoLab today has SOL SpA and the "Tor Vergata" University in Rome as partners. 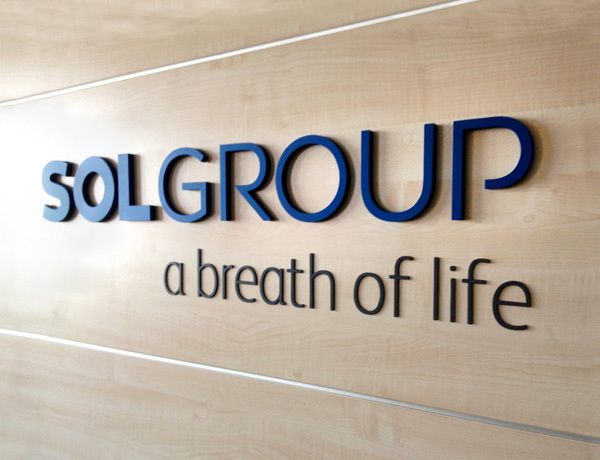 The SOL Group has a professional history of more than 80 years and is European leader in the design, construction, implementation and management of Cell Factory laboratories, cryobiological rooms and biobanks certified as Medical Devices under the 93/42/CEE Directive, and in the production of medical gases used in the medical environment. Cryolab Srl is a company dedicated to researchers active in biotechnologies and pharmaceutical processes, rooted in Italy and in continual growth in Europe and throughout the world. The SOLGroup has seen in Cryolab an ideal partner for applying its technological know-how and growing further in the sectors of Biotechnology and Cryobiology. At the centre of Cryolab's activities, in addition to storage services for biological samples, our research in biotechnologies, the technical design, development and production of materials and new technological and therapeutical applications and attention to the future possibilities that biotechnologies can offer. 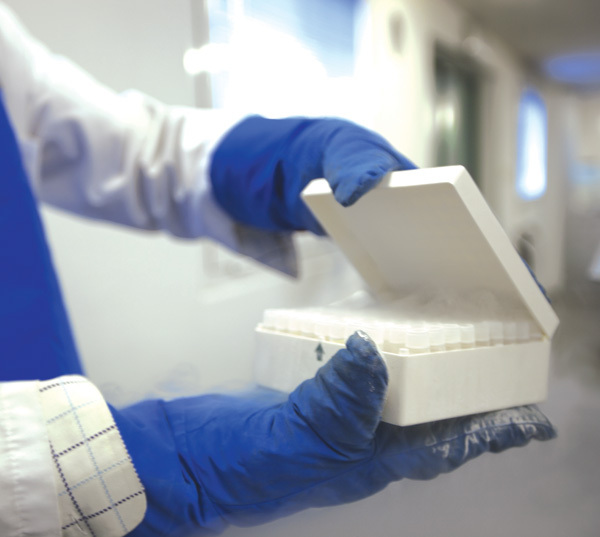 The Cryolab is being developed through the creation of a service provider that can offer a research and training infrastructure and storage services for public and private clinical and/or research bodies, guaranteeing the highest standards of quality and safety and contributing to progress in medical research and scientific discoveries, standardising the most advanced methods for material sampling and the processing and storing of biological samples. The structure, housed in an area on the campus of the"Tor Vergata" University in Rome, has laboratories for cellular manipulation in controlled contamination areas constructed to satisfy GMP (Good Manufacturing Practice) requirements. Rooms for storing biological samples in liquid nitrogen and for storing material in mechanical freezers. The Tor Vergata University was designed on the model of Anglo-Saxon university campuses, and covers a huge surface of about 600 ha. Alongside the traditional mission of the University, "Tor Vergata" is working hard to develop new lines of activity for the so-called "Third mission", where Universities interact directly with civil society, institutions and the business sector with the aim of promoting social innovation and the growth of territories. The SOL Group is constantly engaged in improving the quality of life on the planet with its products and services. The 10th group in the world, the sixth in Europe and the largest Italian operator independent of the large multinationals in the sector, the SOL Group is projected towards the future but has solid roots in the past. A past that recounts the history of more than 80 years, made by tenacious men and women, a history of values and know-how handed down from generation to generation with coherence and passion. The history of a solid alliance and friendship between two creative and determined families, which together with dynamic and cohesive management have produced innovation while remaining always faithful to themselves, convinced of the central position of people and of correct and transparent behaviour towards partners, customers and suppliers. Recent European regulations on the manipulation, storage, management and traceability of biological samples have made it necessary to construct specialised laboratories in all public and private health structures. SOL designs, constructs and manages Cell Factories, cryobanks, biobanks and laboratories for the treatment and cryogenic storage of biological samples for advanced therapies, for research and master cells. Researchers can count on the support of avant-garde computer software for handling and research on the biological samples stored; Cryolab manages a GAMP validated LIMS created for the complete traceability of biological samples, from laboratory manipulation to storage at cryogenic temperatures.